OVERVIEW: I first mentioned Nextgenstorylines.org on this site in the spring of 2016. At that time there was only one elementary and one high school storyline. Those storylines were also not fully developed units of instruction. Well, if you haven’t visited Nextgenstorylines.org recently, you should really check it out. There are now multiple units at each grade band with more coming soon. Each unit (storyline) features a clear storyline along with a teacher guide and supporting documents. How to structure a unit around the evidence that students will need… rather than the activities “I like” or the content “I’m supposed to cover”. PURPOSE: This site provides exemplars for what intentional 3-Dimensional instruction looks like, It also provides a structure and tools for teachers to design their own units. The tools are structured around the 5 Routines that the design team follows. If you are a teacher of science and you are not a member of the National Science Teachers Association (NSTA) then I would highly recommend joining- lots of good resources. However, even if you are not a member you will still be able to access lots of articles, blog posts, lessons, and more for free. One great way to check for FREE NSTA resources is through the NSTA Blog. Every month the NSTA Blog lists all of the articles from each of the 4 NSTA journals.. and a few of these are made available FREE. Click HERE to check out the March 2016 NSTA Journals. It is critically important that building and district administrators in K-12 education have a solid understanding of the Next Generation Science Standards. If administrators have a limited understanding of NGSS then they are more likely to design NGSS implementation plans via professional development, curriculum adoption, assessment writing, etc in a shallow way. from stemteachingtools.org designed specifically for administrators. This is a “slick” 2 sided pdf with intentional hyperlinks to key resources. The Logan Center for Education at the Institute for Systems Biology has a great series of 3 Case Studies with a facilitation guide that tell the story of how science education has shifted over the last few decades of reform. What other resources might be useful for building and district administrators who are just starting to learn about NGSS? What might be the important entry points for working with administrators who are juggling multiple initiatives with limited resources? California recently released the first DRAFT of their Science Curriculum Framework. There is currently a 60 day public review process where stakeholders can give feedback. I think this document (It’s a large piece of text with multiple sections!) will be helpful to other states, districts, and schools who are continuing to implement the Next Generation Science Standards. I have only skimmed the document but am finding it to be very helpful especially with designing instructional modules and learning sequences. I know many districts will also be interested in the two different course models for High School science. You can access the DRAFT CA Science Curriculum Framework HERE. You can view a November 17th, 2015 webinar on the framework HERE. 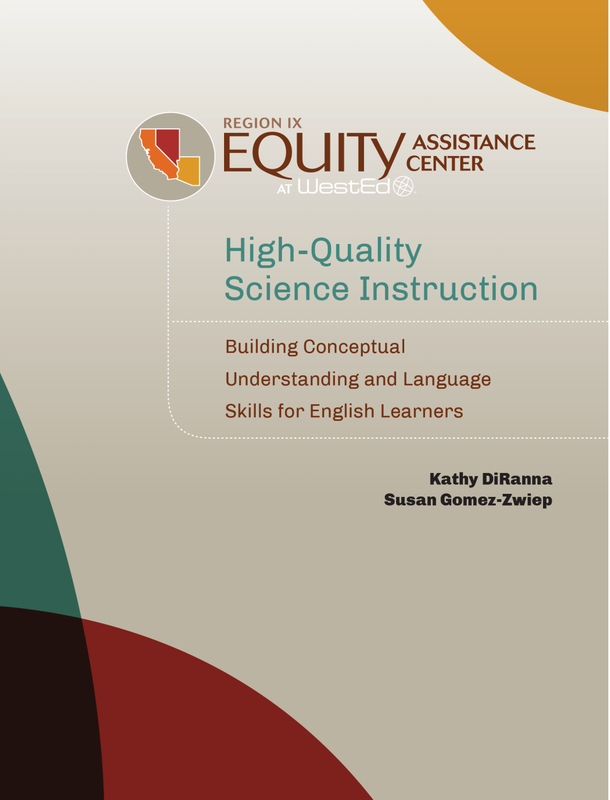 WestEd recently published a FREE report titled- High Quality Science Instruction: Building Conceptual Understanding and Language Skills for English Learners. The report describes a backwards planning method for designing science lessons that helps students build conceptual understanding of science ideas AND supports language learning. This seems like an applicable article for most K-12 science teachers. Click HERE for the article.